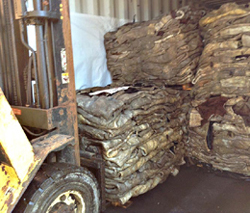 As a member of the Australian Hide, Skin & Leather Exporters Association, if you are shipping hides, corrosive or contaminated materials, Plascorp has four container liners that absorb/contain brine, which can cause environmental and equipment damage. Our Plascorp container liner range includes; Plascorp TUFF – our strongest & most popular liner, Plascorp MAX, Plascorp DURA & Plascorp ECONO. Plascorp’s container liners are suitable for shipping any palletized or pre-packaged cargo. 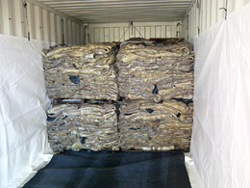 Our top quality container liners is what has seen us become one of the top suppliers in Australia. Why use a Plascorp Container Liner? Plascorp Container Liners quickly convert standard ISO containers into self-contained customisable transport systems for all types of business products and corrosive materials. Plascorp also offers a Container Liner that is suitable for shipping any palletised or pre-packaged cargo requiring a lined container. Prevents any fluids used in the curing process from leaking out of the container. Plascorp’s quick-tie system reduces labour costs and increases operation efficiency. Plascorp specialises in the design and manufacture of container liners and have the ability to customise a liner to best suit your product, loading and discharge requirements. Plascorp offers economical pricing and order quantity price breaks to its customers. Plascorp’s high quality container liners and other products are available for worldwide distribution and delivery. 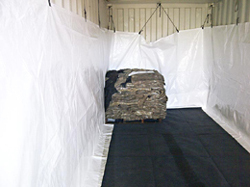 Our strongest and most popular Plascorp Container Liner, featuring a double floor to prevent leaks, with a top felt layer to minimise slippage. Compact packaging for reduced freight and storage costs.